Financial Regulation Matters: Treasury Select Committee Publish RBS ‘Global Restructuring Group’ Report: What Next? Treasury Select Committee Publish RBS ‘Global Restructuring Group’ Report: What Next? Before this post starts with any preamble, it is important to note a couple of things. Firstly, this post will not be covering the issue in tremendous depth, mostly because the issue is so large that to attempt to do so in this forum would not do the issue any justice at all – there are many fabulous campaigners that do the issue tremendous justice on account of their continuous and tireless campaign against what is now confirmed as being a systemic issue (see @Spandavia and @Ian_Fraser for just two excellent examples of this). The second thing to note is that the report, which we will focus on in this post, is particularly extensive and requires a thorough examination (the report can be found here). With those aspects acknowledged, what this post will do is look at some of the ramifications from the report, the scenario within which it was released (which is a remarkable story in itself), and also what it potentially tells us about the relationship between the regulator and the regulated. Earlier this month we looked at the ever-increasing angst that RBS and its ‘Global Restructuring Group’ was causing within regulatory circles. This is not to say that the regulator responsible, the FCA, was showing much concern on this issue, but that the Treasury Select Committee was putting the FCA under considerable pressure to release the full report, without redactions, in the light of building public pressure to do so. The Committee gave the FCA until Friday to comply and, rather predictably, it did not; today the Committee stayed true to its word and released the report, in full, after a long and storied battle with the regulator who, lest we forget, is tasked with protecting consumers and not the regulated. The report, which spans 362 pages, was commissioned by the FCA but, as we know, was only released in what can only be described as ‘abstract’ form. Whilst the report is extensive, it does not take long to find some of the highlights, and they are particularly damning for RBS and now, by way of contamination on the back of their poor performance, the FCA. On page 119, in relation to an assessment of the GRG’s operating objectives, the report states that there were ‘clear risks to customers inherent in the GRG model. Whilst the existence of a commercial objective was not inappropriate of itself, it gave rise to inherent potential conflicts of interests and risks to customers. That was exacerbated by the way in which GRG was required to be a “major contributor” to the bottom line and a profit centre’. Whilst acknowledging that working for profit is not appropriate, this extract suggests that this fact was taken as read and that, in fact, the GRG was operating to bring in major revenues at the cost of the troubled SMEs – it is worth noting that this issue, that the ‘customers’ of GRG were, as a rule, struggling SMEs, is an extremely important aspect of the story and one that needs to be kept at the very forefront of every examination into this debacle. The report acknowledges these aspects in the surrounding pages, and makes note on page 120 that there were serious governance issues, including a lack of oversight as to GRG’s processes, a lack of identification of the key risks facing GRG customers, and ultimately a lack of opportunity for redress and organisational reorganisation on the back of failings. Moving ahead abruptly to page 265, the report is keen to note that one of the ways in which the GRG maintained its operations was to play fast and loose with the methodological aspects of assessing the ‘success’ of the group, particularly in relation to the outcome for its ‘customers’. This was that much of an issue, in fact, that the report had to alter the methodologies used just to gain some sort of understanding as to the outcome for the GRG’s customers, with its findings declaring that, on page 266, the data put forward by GRG and RBS ‘appears not to reflect the reality for customers’ and, that ‘the way in which GRG measured and recorded the outcomes of the SME cases it handled gave a misleading impression from a customer perspective’. Yet, as was mentioned in the preamble, there is much more in this report which needs to be digested. However, the noises made today upon publication also make for a fascinating scenario whereby one of the premier regulators in the U.K. is being openly (and correctly) rebuked for its performance. Nicky Morgan wasted no time whatsoever with getting the ball rolling, stating that ‘the findings in the report are disgraceful’, whilst an analyst at Hargreaves Lansdown was quoted today as saying ‘the report shines a light on the gruesome culture within GRG…’. 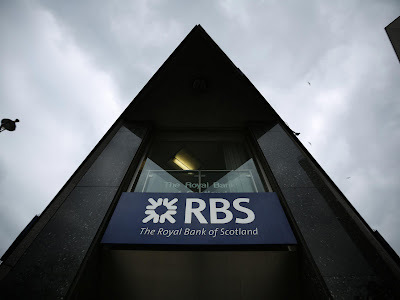 For its part, RBS stated today that it was ‘deeply sorry that customers did not receive the experience they should have done… [but that] the most serious allegation – that we deliberately targeted otherwise viable businesses in order to distress and asset-strip them for the bank’s profit – has been shown to be without foundation…’. This is obviously in relation to the so-called ‘rogue’ unit within HBoS that deliberately plundered viable businesses, but to hold oneself against that level is probably a particularly telling point. The issue here is that RBS promoted a unit as being able to assist struggling SMEs, for a significant price, and for the most part doing no such thing; how is that any better? That question leads directly onto an aspect raised today in the media that ‘the FCA is winding up a second probe, which includes looking at what management knew, or should have known’, which Morgan immediately responded to by stating that ‘as well as continuing to monitor the FCA’s further investigation into GRG, we’ll keep a close eye on RBS’ Complaints Process…’. This aspect needs to be considered, an incredibly critically, because the underlying sentiment to it is remarkable. In essence, we were able to read today, with no help from the FCA, that a major global bank had set up a department with the inherent organisational objective of making as much money as possible from customers who had to be struggling to be a ‘customer’. In addition, when this was reported to the FCA, they refused to communicate this to the public and when pressed to do so by politicians, they refused again. So, in light of that, is it really appropriate to have the FCA conduct any more investigations into RBS? Leaving aside issues of resources for one moment, the FCA has provided clear evidence that, if it finds more wrongdoing, it cannot be guaranteed that it will release the information; so why investigate at all? Is it really the case that there has to be a sustained campaign and pressure from one of the most influential parliamentary committees just to get information of wrongdoing released? The impact of these developments upon the validity of the FCA as a regulator is remarkable, and news today that the incoming head of the FCA – Charles Randall – used a tax break scheme between 2006 and 2011 which was, according to him, an ‘error in judgement’, makes things much worse. This report has a number of lessons contained within it, and whether or not those are learned is another matter entirely. Whilst there are many lessons to be learned with regard to the ability of profit-making banks to offer impartial and progressive assistance to struggling customers/SMEs, there is a lesson for the regulatory framework that needs to be addressed. In short, that lesson is that the FCA needs to be assessed thoroughly and its position put under real question; this is a massive blow for its legitimacy. When the Financial Services Authority was broken up, it was done so on the premise of creating a more focused regulatory framework to better protect against the excesses of the marketplace, and today’s report shows no such evidence of that. Rather, today’s report signals clearly the existence of a close relationship between the regulator and the regulated, with the loser in that relationship being, as always, the ‘little people’ – regular readers of Financial Regulation Matters will not be surprised to hear this author state that this is just not acceptable, but the reality is that this is a systemic dynamic that seemingly only grows stronger, despite the increased access to information that we all have. Yet, whilst a negative connotation, it cannot be used to stop calls and action for a rebalance, and one place to start is the FCA; its very legitimacy is hanging by a thread, and correctly so.